Your company has a wealth of collective knowledge and data, but how quickly can employees or customers find the right information? 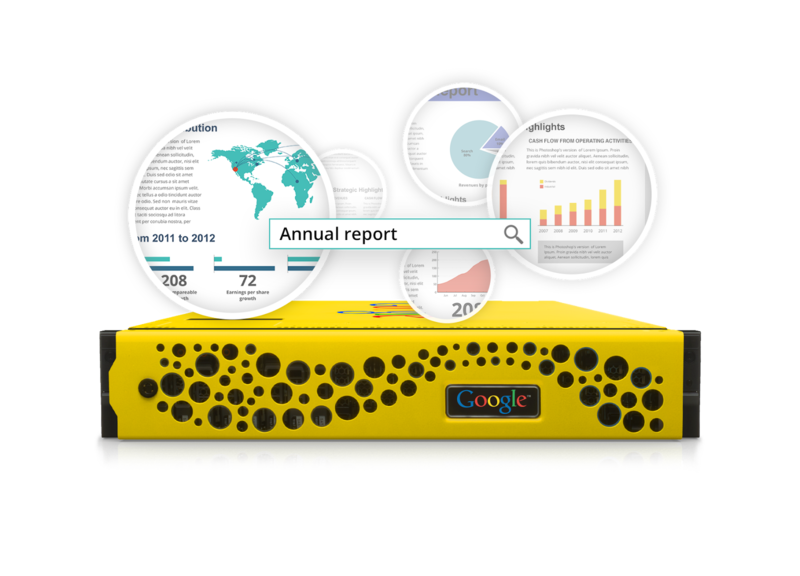 Google Search Appliance (GSA) gives businesses a simple way to search all their content, no matter where it lives or what format it’s in. Today we’re adding new capabilities to GSA with version 7.2, making it even easier to find documents, organize your data and let your team focus on what really matters: getting things done. GSA 7.0 introduced entity recognition, which helps businesses categorize unstructured content by extracting entities—attributes like date, author and product type—from documents. With GSA 7.2, you get a chance to test and tweak your entities before indexing begins. This helps ensure that the entities you choose and apply will work best for your organization’s needs. Companies rely on GSA to make all their files discoverable from a single search box, no matter where they live. It does this with the help of components called connectors, which link GSA to various data sources and index their contents. In GSA 7.2, we’ve made the connector framework more scalable and flexible. Customers and partners can develop and improve custom connectors more easily, helping GSA become a truly universal information hub. Relevant results shouldn’t rely on exact queries—especially when you’re dealing with long product names or technical data. Say you’re searching for part number 3728. With GSA 7.2, instead of struggling to remember the exact part number, you can type in “part number 37” plus a wildcard character such as an * to execute the query. With wildcard search, you don’t have to memorize complicated terms to find what you need. In addition to these features, GSA 7.2 also introduces a redesigned admin console, improved language support and advanced sorting. To upgrade your GSA software, login to the Google Support Portal and download the release beginning at 9:00 am PT today. To find out more about Google Search Appliance, click here.